A youth drowned in the waterfall located about 2 km from the Donyi Polo Vidhya Bhawan here on Friday evening. The incident took place when the deceased, identified as 20-year-old Vijay Chetry, along with four of his friends and cousins went to the waterfall as a recreational activity. Speaking to Arunachal24 Itanagar SDPO Kamdam Sikom informed that there is no sign of foul play and that the deceased drowned after coming under the waterfall. He added that the body has been handed over to the bereaved family and that the police have registered an unnatural death case. He also informed that the Papum Pare deputy commissioner had earlier notified the area as ‘danger zone’ and had also put up a warning sign but still, denizens violate the order deliberately. 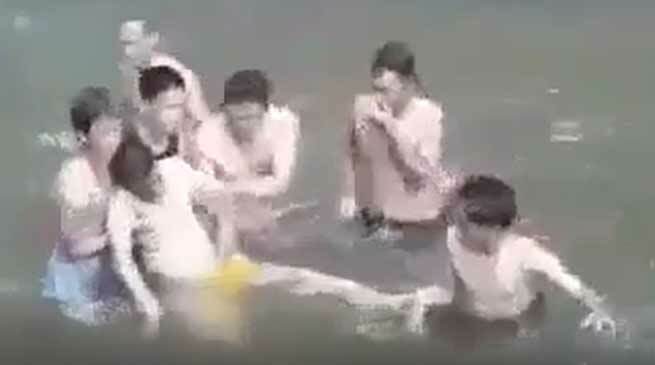 Meanwhile, a 15-year-old minor, identified as Kai Nayam has also reportedly drowned in Subansiri river in Daporijo. However, the body is yet to be recovered.